GATLA | GATLA is a training center dedicated to excellence in psychotherapy training. Our goal is to promote the application and development of contemporary Gestalt Therapy theory and practice. GATLA is a training center dedicated to excellence in psychotherapy training. Our goal is to promote the application and development of contemporary Gestalt Therapy theory and practice. 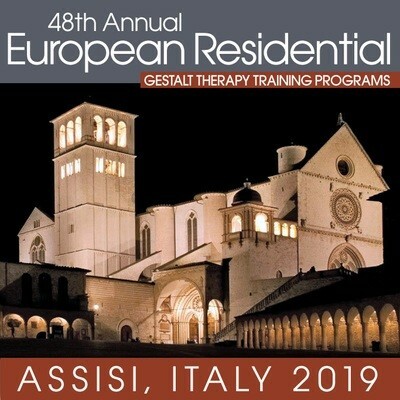 Join us in Assisi, Italy, July 14-26, 2019 for the 48th Annual European Summer Residential! Join the Resnicks for 4 weekends in 2019 in Seattle for "A Couple of Individuals"
Download the 2019 European Summer Residential Digital Brochure.